Please transfer all your account queries to Jacky at yogafirst@optusnet.com.au. If you want a direct answer from me, then as usual, yogafirst@netcon.net.au. All mail to go to PO Box 14, Mt.Macedon. Vic. 3441. I am discontinuing this weekly newsletter in the new year, and doing a monthly one instead, probably the week or so before teacher training to remind you all to come. I do newsletters for my students and trainee teachers, to keep you connected to what is happening. About 10 years ago we still had big weekly teacher trainings, as well as weekly hard copy and email newsletters. As the student numbers got less and less, I discontinued them. Life has speeded up it seems that mid-week is now impossible. I am lucky you still have time for monthly classes, please don’t stop coming. I am hoping that with monthly newsletters you will take the time to read them right through. I start the week with them, and they do take time to write. Not doing them will mean that I can do other things with that time. Most of you judging by the modules, think that hypermobility is only about people who can over extend their bodies. The circus performers among us. Not so. There are people in our classes showing a symptom (hypermobility) that will lead you to being able to really, really help them lead healthier lives, and maybe even stave off life threatening diseases. Yes, yoga and you can help and hypermobility in all its forms is a ‘flag” to alert you to the possibilities of an even greater teaching/learning experience..
and TAKE KEY ANTI INFLAMMATORY SUBSTANCES AND SUPPLEMENTS – such as curcumin, ginger, garlic. Then they will be on the path to a longer, healthier, life. This is a huge subject and researchers are only now coming to grips with it. You could lead in the field. We have to specialise, we have to get sharper at how we teach. When I started, people didn’t know much about yoga, life was different, there wasn’t a gym on every corner, massage was done in a red light district, and naturopath courses at Southern School were just starting. In fact, I was offered a course for $500 which would take less than a year! It now costs about $45,000 and takes 4 years. I might have said “yes”, and I urge you to respond to my call… There have been many changes, and we have to change. Choose to come and learn more. I have given you a rest, but now I am nipping at your heels once again. We are expanding and I am looking for VOLUNTEER teachers who can help us expand even further. The classes at the church have been so successful we are soon expanding to The Uniting Church at Riddells Creek, a lovely country church which has a labyrinth we can walk after lunch. I will be teaching there on a “Donation” basis . It seems to be working for everyone. With the free lunch.. you can’t beat it. By the way – they also have an extensive BOOK EXCHANGE. For a gold coin donation you can swap or borrow a book. Yes, we teach yoga, but right now you may be struggling, or have students who need help. It is amazing how wonderful a box of groceries can be. If you want help, but don’t want to front up to the church, just let me know and I will get a box or bag ready for to collect at yoga here at the studio. No questions, no health cards etc. Just you need help. If a student needs help, pick up a bag from me, and you can pass it on. I am helping a few families like this and you can too. I know all about the destructive nature of wasps. I had a huge nest in the walls of the office a few years back. Thank goodness we discovered it in time – the wasps had eaten the plaster on their side of the walls and all that was between me and them was the layer of paint! It is not unusual. This year I have put out traps. In the last three days I have caught fifteen queens! Queens that won’t be nesting in my walls. Look up “laurielure” on google. He gives detailed instructions for these traps. You need to follow them closely, and make more than one. Remember, wasps travel in a straight line – not like bees. Wasp queens discover new nesting sites and are then joined by the rest of the hive. So discard what you know about bees, and think wasp. All you need is soft drink bottles, honey, water and vanilla essence. AND THEY ARE TRIED AND TESTED TRAPS. If every neighbourhood did this, we would have far fewer wasp invasions. Even if you haven’t been INVADED, hang at least one of these traps to trap what you can. They are not attractive to bees, native or otherwise. I have discovered you can use a sugar syrup plus vanilla essence and the Queens will love it just as much. EXHIBITION AT MY HOME STUDIO. The exhibition went superbly well, and I just loved it. It was great to get back to painting and exhibiting. The guests didn’t drink nearly so much champers as they did in the old days… but we had a good time on Kombucha, a little champagne, and mineral water. Below is a section of the exhibition. The next exhibition will be close to VALENTINES DAY. You will get a preview on February 3rd, and I will hold the exhibition on the Saturday and Sunday 2pm to 4pm. Subject: “THE KARMA SUTRA in miniatures”. ART CLASSES: If you want to learn on a regular basis….Experience the joy of painting and drawing by learning to trust your intuitive self with me!. Painting this natural, gentle way allows you to let go of the inner critic that keeps you away from your full aliveness and creativity. The oil pastels are a way of achieving a quick result, and you get to touch and smooch the medium across the paper. It is like painting with lipstick! All you need is the desire to paint, and the courage to express yourself. No art experience necessary. COST $250 for 5 classes – we are taking September bookings. We experiment every week with new materials and skills to enhance your finished image. All materials will be provided. By the end of the class you will have a unique image to take home, and frame to put in your own meditation room. Maybe good enough, stunning enough to be an heirloom. No painting experience needed. If you are nimble enough to sign your own name, you can do these classes. I am suspending this class as I don’t have the time. I need to paint in order to keep up with things, and much as I love it I don’t have time to waste. You will find them on our “yoga beautiful” web site. Our last classes for the year will be on Saturday 22nd December, and we will re-open on Monday the 7th January, although the classes on Mondays at the Church will go right through, as will the free lunches – we will be there for you. There are shorter teacher trainings, which cost heaps more, and require large blocks of personal instruction. Maybe because more is asked of the students, (the cost is huge in comparison to us – plus travel, plus board, plus food), the attendance is not a problem. Because we try to fit with your schedule, you dream that attendance is optional entirely. It is, but it is still hugely important, and will add a lot to your teaching if you can commit to 2 hours PER MONTH. THIS MONTH IN TWO SESSIONS $30: The first session a workshop in Hypermobility asana, and adjusting. 12.30 to 2pm, then a break then the usual session…2pm to 4pm This will be the last for the year so there will be mince pies, and THE OSCARS! DATE: Sunday 2nd December, 12.30 to 2 and then 2pm to 4pm at my home studio (37 Morris Road in Woodend –There is no need to book. Bring writing materials, and be early. If you are teacher Training student then the cost of the afternoon is $30 for the two sessions, or $20 for one. This fee applies to everyone. If you are a visitor and not formally a student teacher with us then the cost is $20 for a two hour class, $30 for a 4 hour class and $30 – for a 4 hour class! Come. Please don’t miss the next training with is the first Sunday in December (the 2nd), between 2 and 4pm. We will be giving out certificates at this training… the “Oscars”. Next class is Tuesday 4th December at 3.30pm Turn at the Metricon building on the highway in Kangaroo Flat. It is a traffic light intersection, just up from Bunnings. Crusoeden is the building behind Metricon building, and faces Church Street. It’s easy to find. Cost: $20 per class (to bring it in line with the cost of a yoga class) for everyone who attends – thank you. (Directors – Jayne Boyle – crusoedenbody@bigpond.com). Regular classes held – please email for timetable. DRAWINGS, DOWNLOADS. You will notice on the bottom of every assessment there is a reminder that drawings need to be done, and in your own hand, and downloads of any kind will not be marked. PLUS every page needs to have your name, module number, and page number. If I don’t know who owns the work, it will just sit on the pile until you make a move to identify yourself. Christmas is fast approaching – unlike your dear selves, we are taking only a small break. Saturday the December 22nd will be our last Studio Class and we will resume Studio classes on Monday 7th January. At this stage I do plan to keep going with the Monday Church classes right through… the 24th as well. So you won’t be yoga deprived. Please go to the web site for the latest information…Go to www.yogabeautiful.com.au and go to the page called CLASSES. Much easier than any other way. I know that many of you don’t read down as far as the class times in the newsletter. It is easier to go straight to the web rather than have to email and ask. 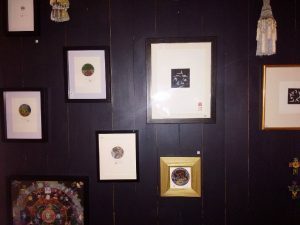 The art showing at my home Studio on the 25th of November was a huge success by any standard. I loved it. Thank you all those who came, and especially those who purchased a work. The next exhibition will be THE KARMA-SUTRA MINIATURES, done especially for VALENTINES DAY. If you missed out on the showing and would like a special viewing, please email me – one can be arranged. The miniatures are a wonderful gift for Christmas, and not expensive. By the end of the 5 classes you will have a unique image to take home, and frame to put in your own meditation room. Maybe good enough, stunning enough to be an heirloom. No painting experience needed. If you are nimble enough to sign your own name, you can do these classes. I have suspended this class until after Christmas as I am so busy painting. I need more hours in the day – and this is where I can get it. The REVELATION TAROT is now in its 10th year on ETSY. I am at present waiting for scanning and then printing of the extension 9 cards. “Gates and Guardians”, and the accompanying book. There are also ready-to-frame cards, and pins will be on ETSY shortly. MONDAY: 11am Hatha, 12 noon lunch, 1pm Meditation. Followed by access to food bank with Jahne or Wendy. TUESDAY: 7pm painting Class, The Home Studio. 6.30pm Hatha at the home Studio. FRIDAY 3pm FREE (or by donation) YOGA AT THE UNITING CHURCH – Followed by access to Food bank with Jahne. Yoga $20 per Class Or CLASS PASS – $135 per 10 CONSECUTIVE classes (students of the studio for 3 years or more). New students: $165 per 10 class pass (normally $200) After 3 years as a student, the cheaper rate will apply. Next door to the Police Station, Forest Road, Woodend. Monday: 11am Hatha Yoga, 12noon lunch and 1pm meditation at Church. Please, Please – Park on white gravel in front of the studio. I had it made especially so that it would be easier for you! If there is no room, then park in the drive-way directly opposite in front of double grey garage rolladoors. Not in front of neighbours driveways please. …….is now upon us, and I have caught heaps of Queens. The visitors to my showing who walked the garden were amazed at the quantity of queens in the traps. .. Their peak season is FEBRUARY. I put out my home-made wasp traps, keep them clean and have caught 15 queens in three days, as well as lots and lots of blow flies. These queens didn’t find their way into my roof or walls as they did on previous years. Unlike bees, wasp queens go out searching to a place, and the workers join her. Catch the queens and you head off infestation. If we all did this, there would be less wasp problems. Go to the web site www. LAURIELURE to find out the way to make your own traps (that really work). All you need is drink bottles, honey (they like the cheap Aldi stuff) water and vanilla essence (also the cheapie). I have also used a sugar syrup and vanilla essence when I ran out of honey, and the queens didn’t seem to mind. I write books to help you. What will you find on ETSY? YAMAS, CHAKRAS, HYPERMOBILITY, THE FIVE TIBETANS AND TEMPLATES and more. There are lots of books there to help you in your progress with yoga. PENDULUMS/TAROT/TAROT POUCHES: All locked and loaded ready for you. Like any other store – if you want the best prices, the best items, you have to drop in often. YOGABEAUTIFUL NEWS from THE STUDIO, WOODEND. Thank you for those new students who are interested in classes, and long time students looking to upgrade or take more classes. Please go to the web site for the latest information…Go to www.yogabeautiful.com.au and go to the page called CLASSES. Much easier than any other way. I know that many of you don’t read down as far as the class times in the newsletter. It is easier to go straight to the web rather than have to email and ask. Wow! what a week. We have boxes and boxes of food to choose from. All we need now is you. Seriously. We need people to use this facility. If the timing is wrong (Mondays 11to 3 or Fridays 3pm, then ask me, and i bring a bag of goodies for you at the studio and you can collect it after yoga. I have a number of clients I collect for each week, and i can help you. In order to do that, you have to either come to the Uniting Church on Mondays or Fridays, or let me know you need help, and i will bring a selection here for you. You don’t have to be a bag lady to qualify. Just a person having trouble making ends meet. The new art show is the PRIVATE showing at my place. My work will be at a super, super special price JUST FOR THE DAY. I am introducing new topics, new styles, all small. I am also including Tarot Decks on the day. If you are looking for a Christmas present, then any of these you will love. I am looking forward to your comments. Come along: 37 Morris Road, Woodend. Between 2 and 4pm. Champagne and nibbles seeing as Christmas is so close. 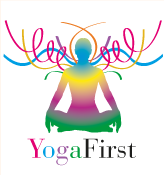 FRIDAY: 3pm FREE (or by donation) YOGA AT THE UNITING CHURCH. Followed by access to Food bank with Jahne. …….is now upon us. Their peak season is FEBRUARY. I put out my home-made wasp traps this week and have caught 12 queens in three days, as well as lots and lots of blow flies. These queens didn’t find their way into my roof or walls as they did on previous years. Unlike bees, wasp queens go out searching to a place, and the workers join her. Catch the queens and you head off infestation. If we all did this, there would be less wasp problems. Go to the web site www. LAURIELURE to find out the way to make your own traps (that really work). All you need is drink bottles, honey (they like the cheap Aldi stuff) water and vanilla essence (also the cheapie).